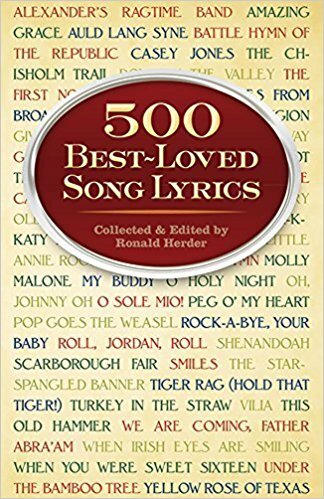 500 Best-Loved Song Lyrics Complete lyrics for well-known folk songs, hymns, popular and show tunes, more. "Oh Susanna," "The Battle Hymn of the Republic," "When Johnny Comes Marching Home," hundreds more. Indispensable for singalongs, parties, family get-togethers, etc. Out of print, 1 left!